Finding yourself in a precarious situation? “‘S all good man!” We have just the right criminal… lawyer for you. This classic character provided more than just legal loopholes and comic relief. Known for his nonchalance and questionable advice, Saul quickly won over fans worldwide in the hit show Breaking Bad. 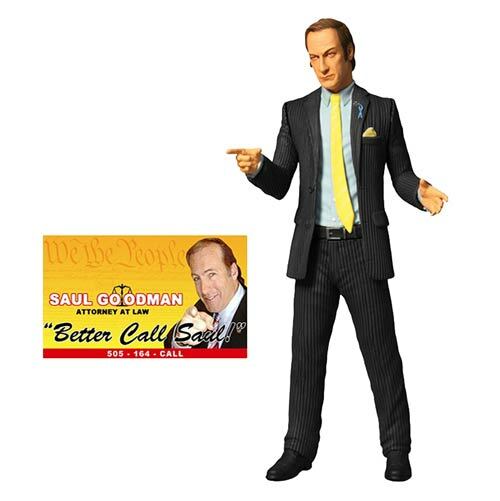 Walter and Jesse narrowly made it through their troubles with his legal counsel and now this 6-inch action figure can stand as a reminder when you’re in a bind, “Better call Saul!” His pinstriped business suit is complimented by his token wireless headset and light blue Wayfarer 515 awareness ribbon. The Breaking Bad Saul Goodman 6-Inch Action Figure comes complete with his business card in a display friendly blister card package. Ages 15 and up. Click here or below to secure one at just $15.99! You’ve seen the show, now you can get the vehicles! 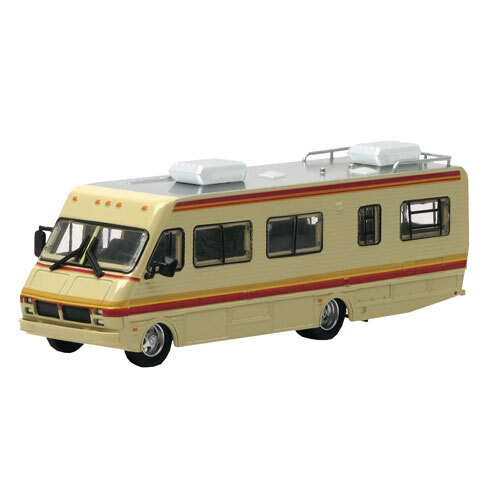 This Breaking Bad 1986 Fleetwood Bounder RV 1:64 Scale Die-Cast Metal Vehicle features the iconic RV from Breaking Bad, scaled down to 1:64 scale and made out of die-cast metal. Complete with rubber tires and Breaking Bad-themed packaging, this awesome vehicle will be a stand-out amongst your collection! Best $12.99 you can spend, click here or below to pre-order! Remember this bear? 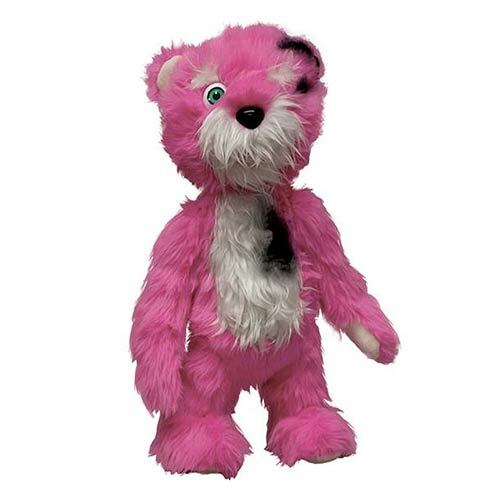 From the fan-favorite AMC hit, Breaking Bad, comes the iconic burned 18-inch Pink Teddy Bear. The Pink Teddy Bear made its appearance throughout the opening scenes of Season 2 episodes. Many fans wondered what the mysterious burned Teddy Bear was all about, and eventually by Season 2, the true reason for the burned Teddy Bear was all explained. This 18-inch Pink Teddy Bear from Breaking Bad may be all disfigured, but all teddy bears need a nice home, whether it be at the bottom of a swimming pool or your collection! Ages 15 and up. This is My Product Rap – Awesome! Thanks to Hildy down in Florida for the heads up!